In this guideline we have summarized the important aspects of “appointments with customers” for field reps and give you some advice to take along for your B2B customer calls. If a pre-scheduled appointment is reasonalbe for field reps or not depends on various factors like the sector, the planned duration of the appointment, the number of customer calls per day, etc. Please read our article “Pre-schedule customer appointments – STOP or GO for a field force?” to find out on what to pay particular attention in this respect. The scheduling of appointments can be carried out by the sales reps themselves according to the “one-face-to-the-customer-approach”. Alternatively, an internal department (customer service, marketing, etc.) or an external call center make an effort to arrange customer appointments. At best you already know your customers and know exactly whom you need to talk to. If you want to visit a new customer you have to ensure to find out before the phone call with whom exactly you want to make an appointment. Who is the relevant decision-maker for you? LinkedIn and your customer’s company website can offer valuable inputs! Tip: The phone call version might not be as time efficient as a mass e-mail at first sight. However, a phone call is the quickest way to reach a result and to subsequently conclude a sale. 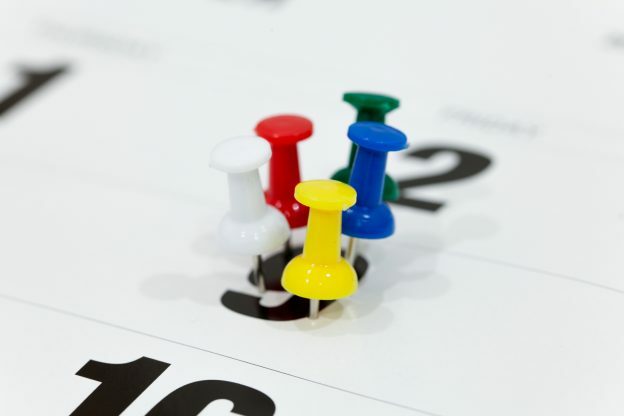 Consider your customers’ planning horizons and adjust your scheduling accordingly! Short-term: You know your customers very well and know they are flexible. Then it will be sufficient to contact them on the same day or one day in advance. Medium-term: The appointment is made between two and fourteen days before the desired date. This period will be appropriate in most cases. Long-term: In some sectors, like e.g. dentists or manufacturing, it might be necessary to plan several weeks in advance. Serial appointments: If the customer expects you to show up on certain days – e.g. every other Tuesday to receive orders. Kick-start: Due to the ubiquitous overload of stimuli and supply you must arouse the customer’s interest in the appointment within the first 15-30 seconds, otherwise you will lose them. This is true for both phone calls and approaching the customer in writing. Think about the ideal introduction before picking up the phone or starting to type. Below you can find useful links with examples for conversation guidelines. Follow the WIIFM principle: What´s in it for me?! Communicate the customer’s benefit from an appointment with you. “I am responsible for your region” might have sounded interesting 30 years ago but today it is no longer an incentive for others to meet you. Do not use standard phrases: Try to find an individual catchphrase for the conversation. Maybe you have read something about the company in the newspaper? Is there a new product that has been introduced? Do they have a new manager? Do you have mutual contacts on LinkedIn? Let your customer know that they are not only a number in your system! Ask your best friend Google for input. Of course, the company website and social media channels are also good pools for that purpose. Open questions: Demonstrate your interest in the company by avoiding closed questions (i.e. yes/no question). Sales ban: Of course you are interested in concluding a sale as quickly as possible. However, by no means try to sell your product when making the appointment. “One pitch at a time!” Most people react negatively if you want to sell them your product right away. Qualify your leads: During the phone conversation you should already evaluate if the lead has a realistic chance to conclude a sale. You lose valuable time if you wait until the appointment to do so. Send a handwritten fax message – it is individual and certainly attracts attention! You are near your lead and call spontaneously to find out if they have time for lunch. Unleash your creativity and think about your own reaction to sales rep calls. When and how were you convinced to buy?